Klevv, a subsidiary of SK Hynix, has been around for quite a while targeting mass retail market with mainstream DRAM and SSD products. 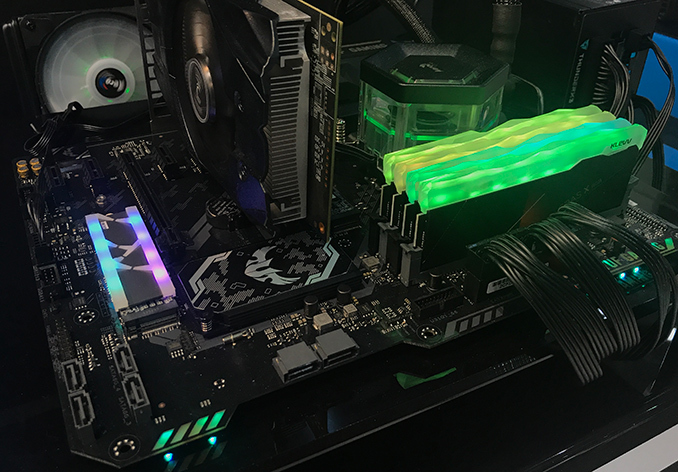 Recently Klevv decided to address the growing market of gamers and PC enthusiasts with more advanced offerings featuring fancy cooling systems and above-average performance. 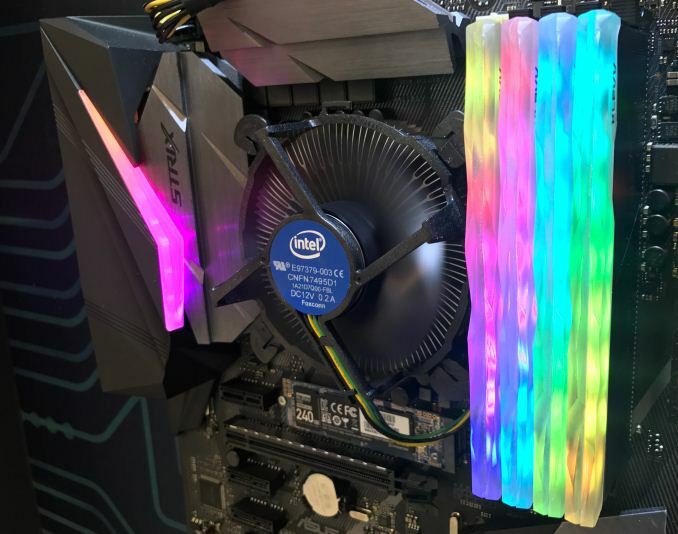 At Computex, the brand is demonstrating its upcoming RGB-lit products that will hit the market in late summer or early autumn. 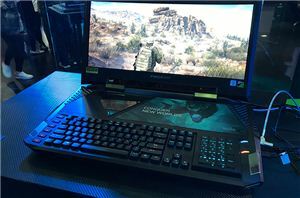 As noted above, up until now Klevv has offered products with rather mediocre specs that would hardly attract performance-demanding enthusiasts despite their look. 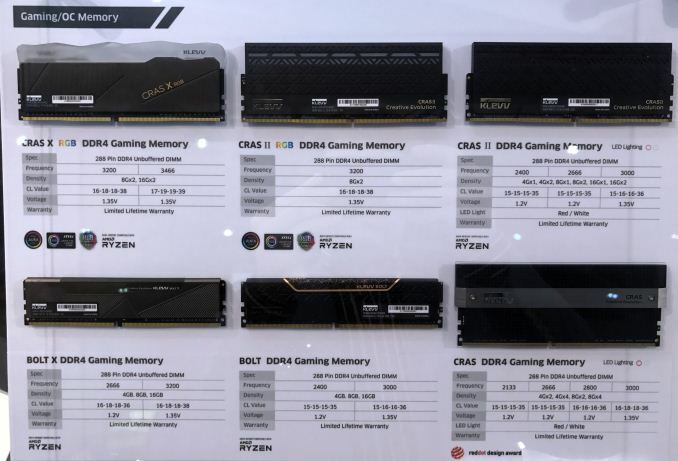 With its upcoming Cras X RGB modules, Klevv will change that and offer 8 GB and 16 GB memory sticks rated for DDR4-3200 (CL16 18-18-38) and DDR4-3466 (CL17 19-19-39) operation at 1.35 V. This is still not quite the level of “extreme” modules from well-known suppliers, but it is a step in the right direction. 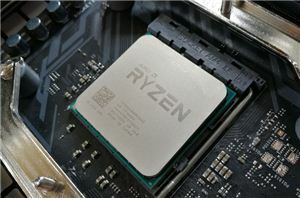 Furthermore, at data transfer rates of up to 3466 MT/s, Klevv can guarantee compatibility with virtually all today’s platforms, including AMD Ryzen and Intel Core. 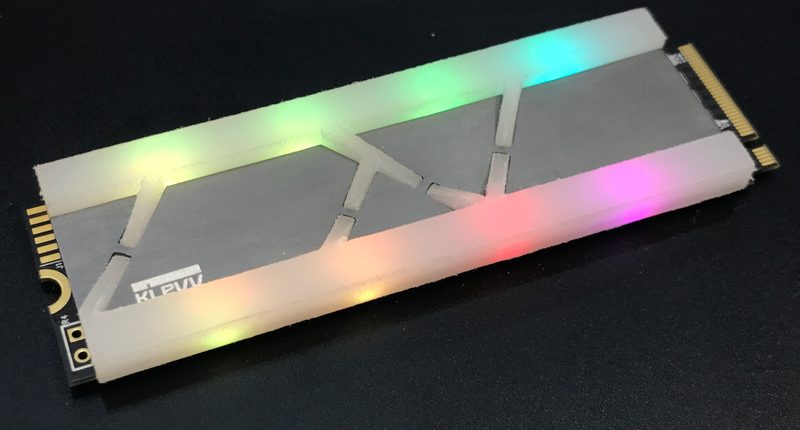 Each Klevv Cras X module will be outfitted with eight RGB LEDs that will be controllable using software from the largest makers of motherboards, such as ASUS, ASRock, GIGABYTE, and MSI. It is noteworthy that besides the Cras X, Klevv already has RGB-lit Cras II modules in its lineup, but they feature a different design and top at DDR4-3200. 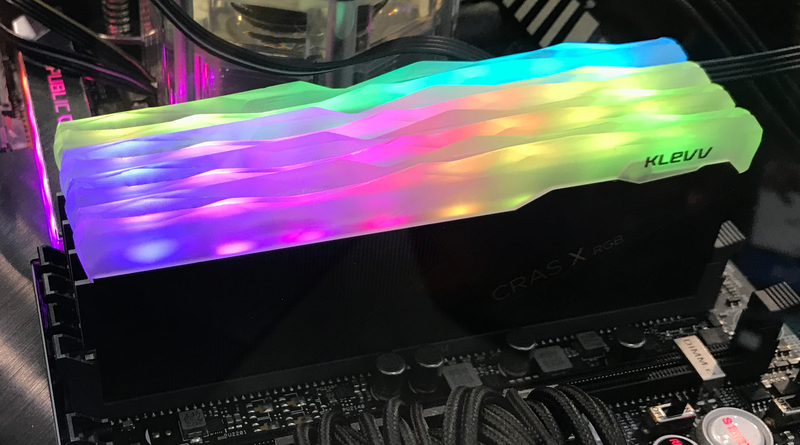 In addition to the RGB-lit memory modules, Klevv also intends to offer an RGB-lit M.2 SSD dubbed the Cras C700. The drive will be based on Silicon Motion’s SM2263-series controller as well as SK Hynix’s 3D TLC NAND memory. 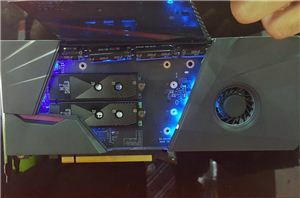 Since the product is still in development, Klevv does not really want to share its performance numbers, but since SMI has already published its performance specs, we can expect the Cras C700 to offer something in the range of 2.4 GB/s for sequential read speed as well as up to 1.7 GB/s sequential write speed. The SM2263 is not exactly an enthusiast-grade controller from SMI’s perspective, but after Klevv/SK Hynix learn its behavior, they may adopt a more advanced SMI silicon for a more advanced SSD. When it comes to availability, Klevv expects both Cras-branded products to hit the market in August or September, depending on the region. Right now, Klevv is establishing local offices in various European countries (e.g., Germany, Russia, etc. ), so it looks like Klevv products will be more widespread on that side of the pond.